Unable to connect to QuickBooks. You have QuickBooks open to a particular company file that is different than the one you had originally set up in QXL or You have QuickBooks open to a particular company file that is using a different path than the one you had originally set up in QXL. Error Occurred: ERROR  [QODBC] QB Begin Session Failed. Error = 8004040a, A QuickBooks company data file is already open and it is different from the one requested or there are multiple company files open. Company file Open in QuickBooks. You could find the QuickBooks company file path via QuickBooks UI, press F2 key you will see the file information. 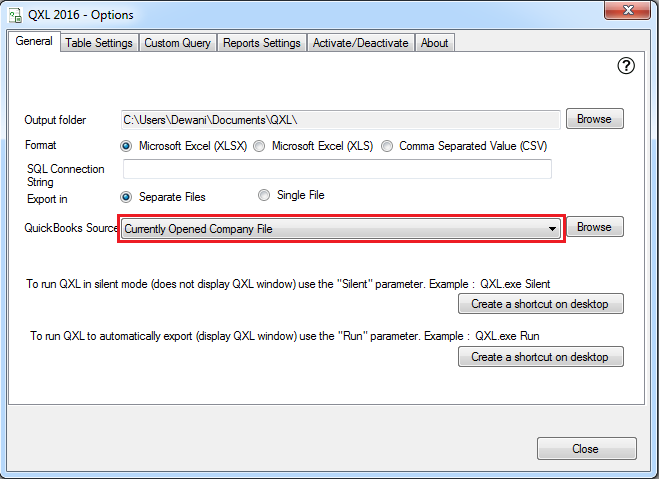 Company file path set up in QXL. 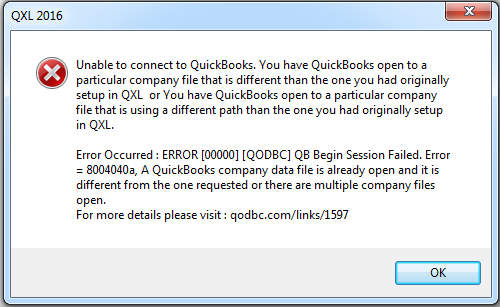 Above error message is saying the company file currently open in QuickBooks is different to the path of the company file setup in your QXL. 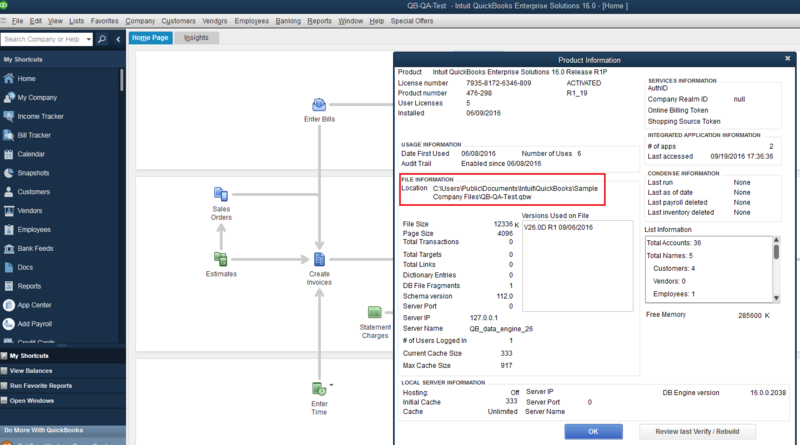 Please verify the company file path on QXL and QuickBooks, these two paths should be the same. 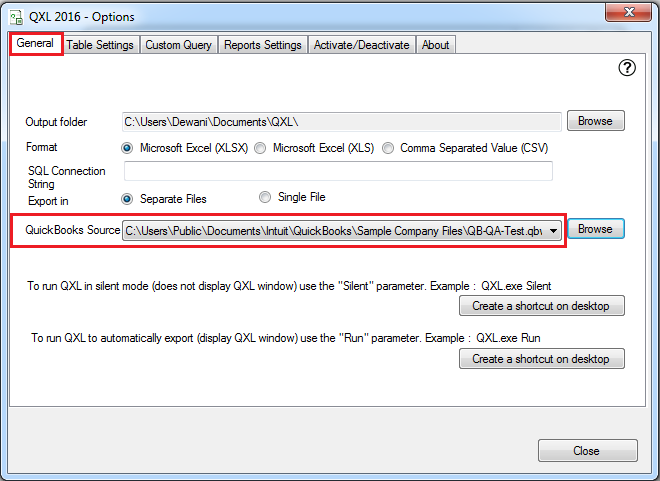 You can select "Currently Opened Company File" as QuickBooks Source and test again.